She wanders around a bit, but was happy to have a chat when we stopped to speak with her. 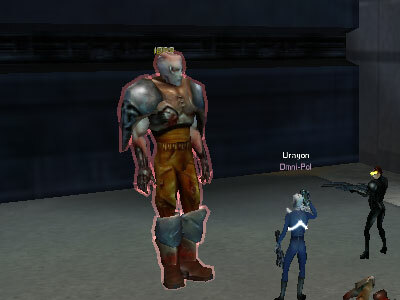 Nihana told us about cyborgs in Perpetual Wastelands and said that some of their leaders could be found there. Although she was happy to give us the mission, she did warn it that it can be a tough fight, so it might be a good idea to get help if you can't handle them alone. With the missions collected, its time to head to Perpetual Wastelands. Each mission will upload to your map and provide you with a way point and a position on your map. 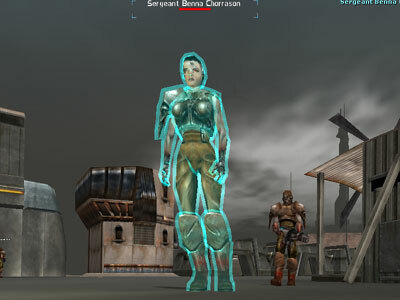 We were greeted by level 250 Sergeant Benna first, however with dyna bosses it is common for their names to not always be the same. So, it could be a cyborg of the same level but of a different name. You can tell it is a dyna because of their colourful aura. This Cyborg Dyna hit for between 350 and 600 poison damage. All my perks seemed to land on it and specials too. The second dyna boss we were met with was Sergeant Niala Triod. Of the same level, this dyna hit us for 350 to 600 points of energy damage. Again all our perks landed and specials landed. Unfortunately, the cyborgs only dropped what can be classed as "normal dyna loot" - which is virtually the same as what would drop from a mission end boss. But overall, it is always nice to have a new target to kill!